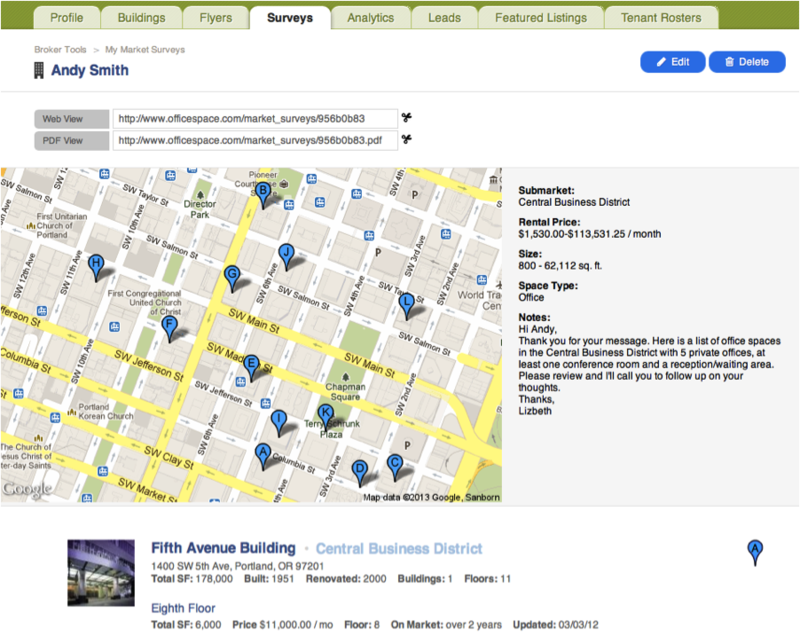 Database with access to over 25,000 properties, totaling over 1.25 billion square feet. Customize your market surveys with specific notes, tour map and routes. Send as web page or as PDF for easy and instant access.